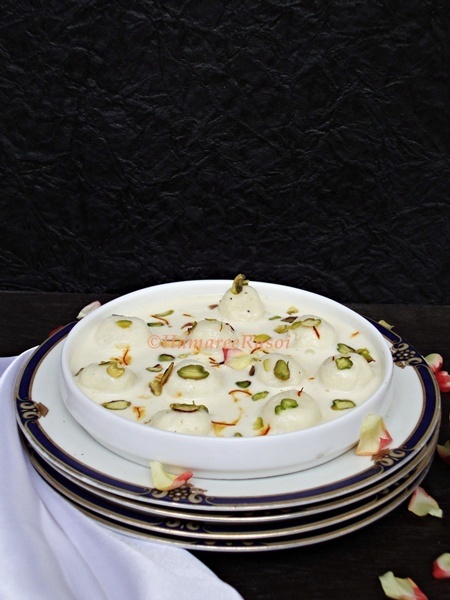 During last week, I was in real hurry to rustle up something sweet for a get together few days back and it was then Soma mentioned about this quick solution 'Rasmalai' with ready made Rasgullas. And it saved me BIG time. One of my friend said "Aro rasmalai beche thakle amake pack kore dao" (pack the leftover Rasmalai for me) :-)And I knew I have hit the Jackpot !!! 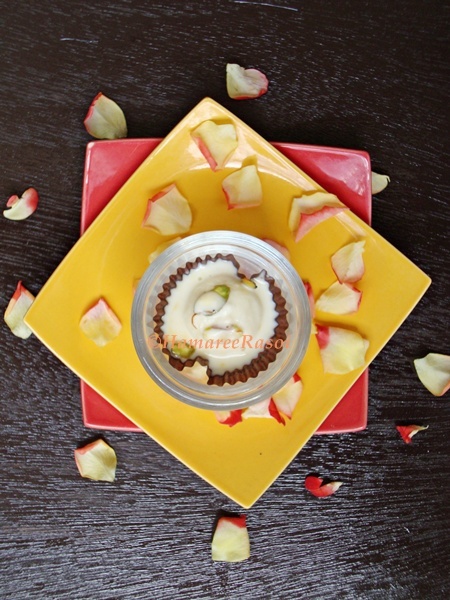 Once in a while don't shy away to indulge in the creamy, lip smacking Indian dessert. Who says that it takes much effort to relish these? Well hear me out when I say it's 'quick' and 'easy' way to enjoy a very popular Indian milk based dessert recipe. 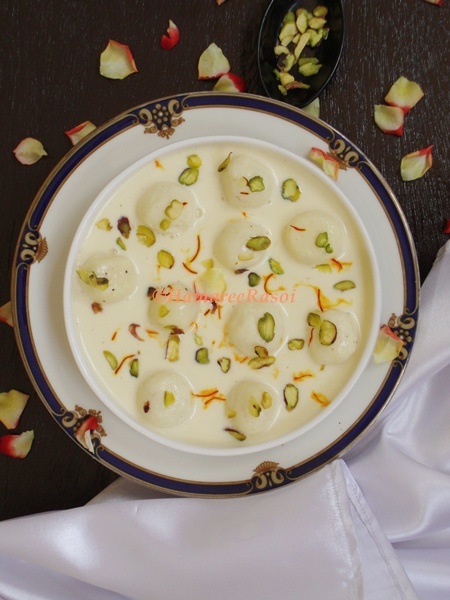 Ras malai is nothing but dumplings made of Cottage Cheese (many use Riccotta Cheese as well) soaked in aromatic, thickened milk with a hint of cardamom flavour in it. Squeeze out all the syrup out of (store bought) the rasgullas and keep aside as we are going to use it later for sweetness along with sugar. Boil the milk in a heavy bottomed pan and keep stirring it to avoid thin film to form at the bottom of the pan. Reduce the heat after first boil and keep stirring till milk is reduced to half. Add heavy cream , sugar, the extra syrup and stir intermittently so it doesn't burn at the bottom. Add cardamom powder and pinch of saffron strands. Cook for 10 minutes and remove from heat. Once the milk is warm add the rasgullas, kewra essence and sprinkle some pistachios. 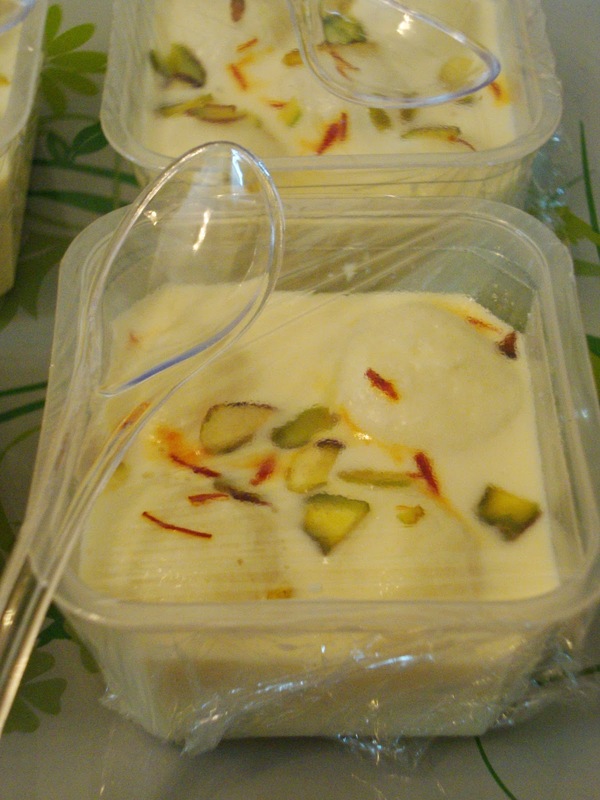 Stir well and serve chilled rasmalai. Don't put rasgullas into boiling milk or else they will fell apart into climps if using big ones. Let the boiled milk cool down a bit then add the rasgullas. You can simply skip adding Kewra essence if not a big fan of it. A quick yet such a mouthwatering cup of rasgullas!! Pack me some too!! delicious ras malai, my brother is very fond of this. I'm a big heater of ras malai :D wish I can grab that bowl ..mast ! super delicious rasmalai. Beautiful presentation. wow!....rasamalai looks yum...this is one sweet dish i have not tried yet...absolutely stunning clicks. How are you? Anek din par tomar blog-e .. officially "present Mam" bol-te elam ..Rasmalai ta darun hoechhe ..I like it . Dekhi ar ki ki rendhe chho during last one year ! Quick and mouthwatering dish,love it. Nicely done..Love it anytime of the day !! Mouthwatering, great presentation, super loved this trick. This is so tempting.Can you pack some leftovers for me too. Beautiful rasamalai Deepa Love this quick version. They looks so tempting..and love the way you served them Deepa..
wow that yummylicious ....thanks for sharing the easy to go tricks! Wow. Mouthwtering & too tempting. looks so delicious and what a great idea as well! I too do this for quick treats...your look fabulous and delicious! My favorite! That sounds so quick to make and the pictures are so beautifully taken! Yumm!iam gonna make those for a potluck! Omg! I just had this today morning & was wondering looking up on a few blogs and voila! yours has a quick version! And a pretty yummy one at that! :D Will try tomorrow! Looks amazing!